History: 50 year old male with abdominal pain and swelling. 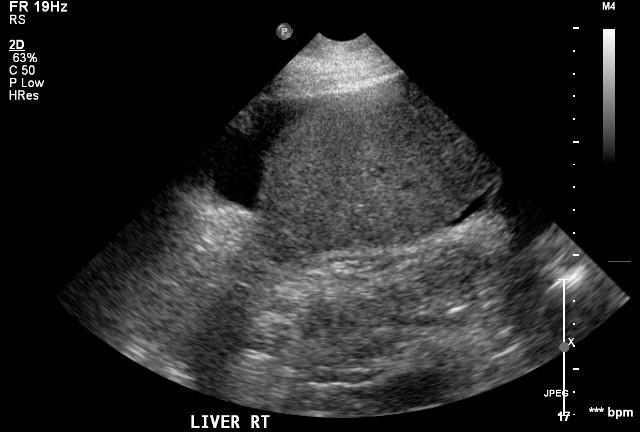 Ascites: Ultrasound image of the right upper quadrant of the abdomen shows free fluid surrounding the liver. This is the typical appearance of ascites on ultrasound. The right upper quadrant of the abdomen, particularly in Morrison’s Pouch, also known as the hepatorenal recess, is a great place to look for free fluid.